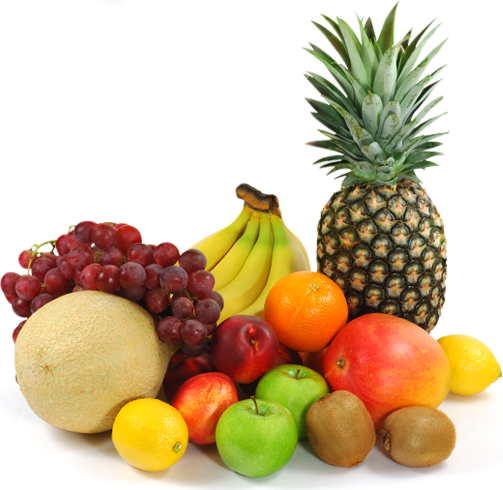 Our comprehensive product offering covers all categories of fruit including Citrus, Pome, Berries, Tropical and Exotics. MD aims to procure fruit from sources as close to the UK as possible, and procures Organic when available. However, this does not override our commitment to promote quality fruits and so you may rest assure that all of our customers enjoy the freshest, sweetest, and juiciest fruits. Please select a product from the list to see how MD can add refreshing value to your fruit requirements. Our Product Development team is constantly working with growers and exporters to bring our clients the newest and most innovative products. To learn more, please contact our sales team. 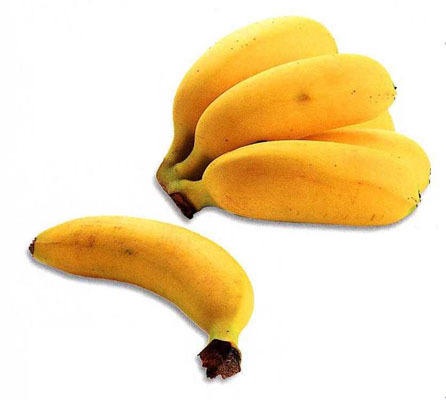 Apple Bananas are a finger-sized treat which have a sweet flavour and creamy flesh, with subtle hints of apple and strawberry in taste. 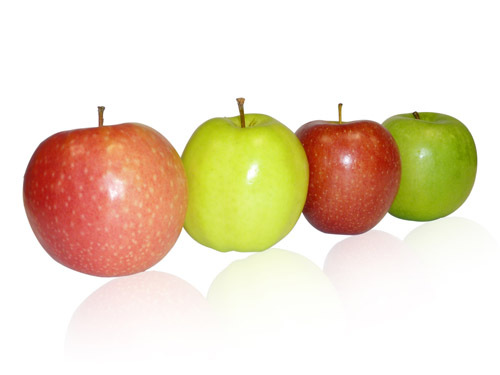 An extensive range of apples are available, each with their own unique flavour. The Braeburn apple delivers a sweet-tart flavour together with an extremely juicy texture. Bramley apples have a sour taste when eaten raw, but once cooked this apple lends itself nicely to being the key ingredient in sweet and savoury desserts. Granny Smith apples have a bright white inner flesh with crisp texture and sharply acidic, yet subtly sweet, flavour. 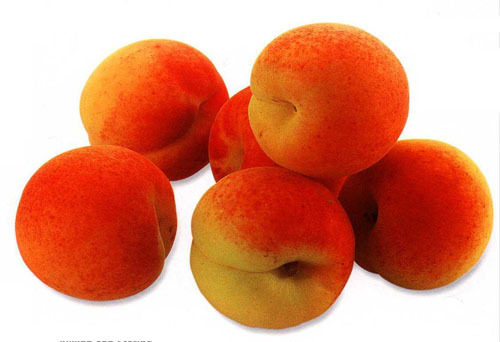 Apricots resemble miniature peaches, but have a more distinctive sweet flavour. 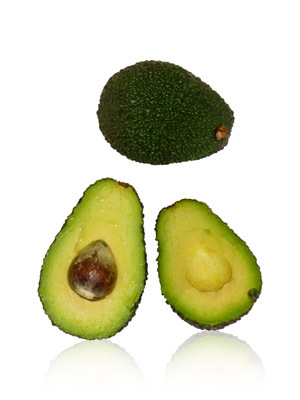 Avocados are the famous raw ingredient of Guacomole sauce. Varieties include Bacon, Fuerte, Hass and Pinkerton. All have a creamy and buttery texture, but different characteristics with respect to skin and flavour. The most prominent variety is the Hass due to its tolerance in shipping and handling, and extended seasonality. It has a sweet and smooth flesh with nutty undertones. 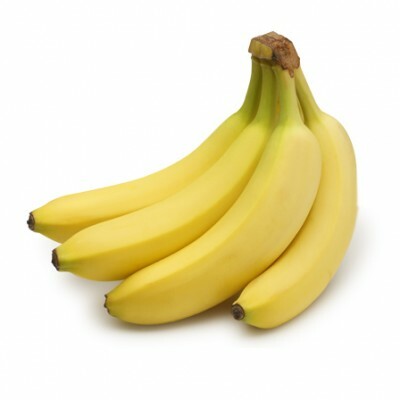 The common dessert banana is the Cavendish variety, which has the signature thick yellow peel, encasing the creamy flesh, which has a varied flavour likened to lemon custard and crème brulee depending on ripeness. Cherries are a small and sweet stone fruit which ripen on the tree. 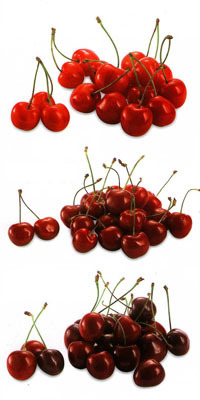 There are a variety of cherries ranging from deep red to black, and the taste can vary from slightly sour to sweet depending on variety, time of year and other growing factors. Chikoo is a small egg shaped exotic fruit with rough brown skin. When fully ripe, the edible flesh changes from white to brown. The fruit produces a wonderful aroma, and is normally eaten raw as a dessert fruit, or blended into a milkshake. Raw chikoo should be avoided as the white ‘flesh’ is in fact a latex compound with bitter taste. 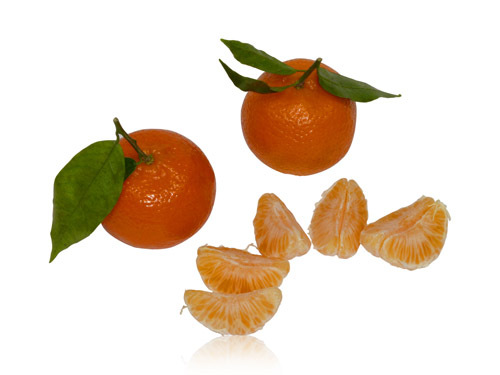 Clementines are an easy to peel seedless soft citrus fruit, providing sweet and juicy segments that are mildly acidic. The peel has a smooth and glossy apperance with deep orange colour. Black Currants are rarely eaten raw as their taste is considered sour. They are small and shiny with a thick firm skin containing a soft flesh made up of edible seeds. Red Currants are much more delicate than their black counterpart and so are harvested in bunches. The taste is similar to blackcurrant, but is sweet enough to be enjoyed raw. 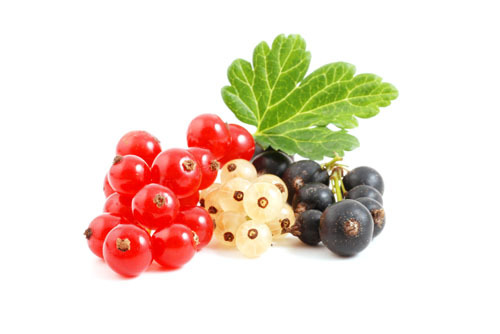 White Currants, a varient of the red variety, are also available and have the sweetest taste. A deep green heart shaped tropical fruit marked with bumps on the outer surface. 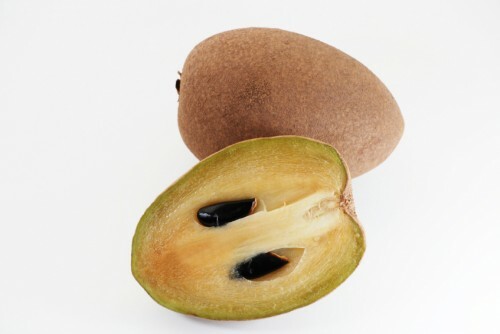 It features a creamy flesh which resembles custard in texture, is typically sweet and mildly flavoured and incorporated are a number of black, shiny inedible seeds that are to be removed prior to consuming. There are countless varieties of dates available, but only a few are commercially cultivated as the others are believed to be inferior in taste. 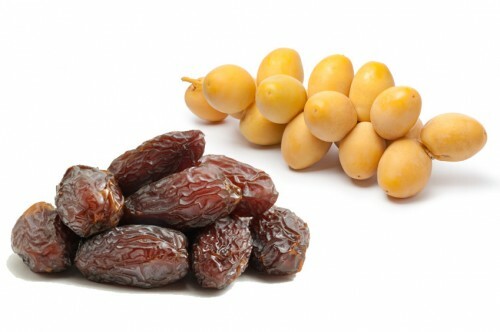 At MD, we specialise in two variety of dates; Medjool and Barhi. The Medjool is a premium date, being very sweet and juicy. The Barhi, which is available on the branch, can be consumed when in the raw state, as well as when it is ripe. When raw/semi-ripe, the date is crunchy and slightly sweet with a smooth yellow skin. The fruit has a firm skin and is hard to peel, often cracking upon ripeness, and exposing the pulp beneath. The soft white interior contains a seed mass bound with jelly-like flesh. The edible seeds are scattered everywhere within the jelly-like flesh. 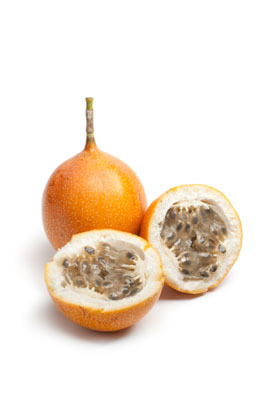 The granadilla is a plum shaped fruit which is vibrant orange and covered with miniature white spots. 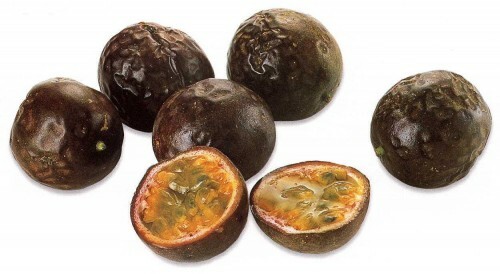 The flesh is like that of the normal egg shaped purple passion fruit with the small black seeds which are covered by a light green jelly. The taste is mouth-watering and the fragrance is heavenly. Recognizable for its deep red flesh color and exceptional flavour, the nearly smooth skin of the grapefruit sports a characteristic dark pink pretty blush. Having one to six seeds, inside is an intense deep rich red flesh that delivers an absolutely delicious sweet-tart flavour. 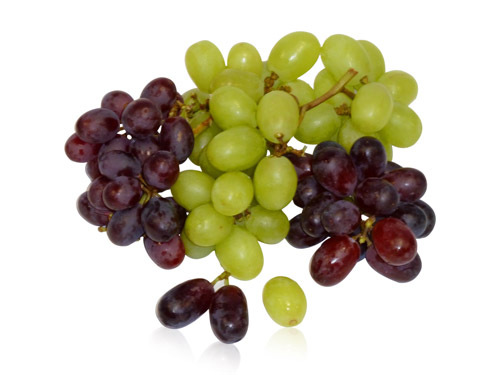 Table grapes are a small round or oval shaped berry that has a unique juicy texture. Depending on variety, the grape can have a balanced sweet-tart flavour, and can be seeded or seedless. Table grapes differ from grapes cultivated for wine production in that their skin is thinner and sugar levels are lower. 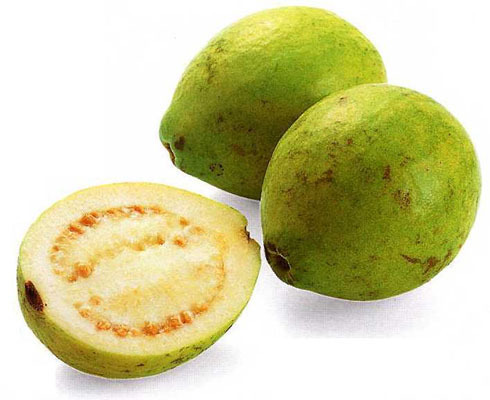 Guavas have a pale green skin and are round or pear shaped. 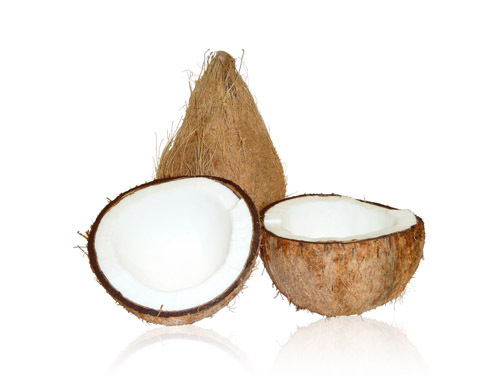 The fruit is highly aromatic with a distinctive tropical fragrance. The flesh can vary in colour from a yellowish-white to faint salmon colour, and is firm but crunchy, tantalising the taste buds. 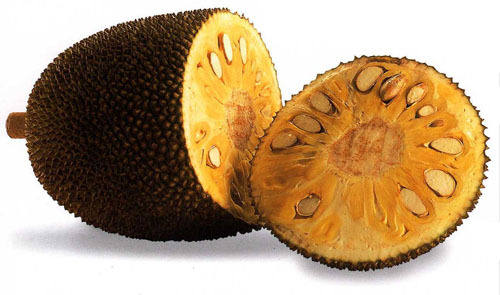 Jackfruit is a very large oval shaped exotic fruit with uneven skin. 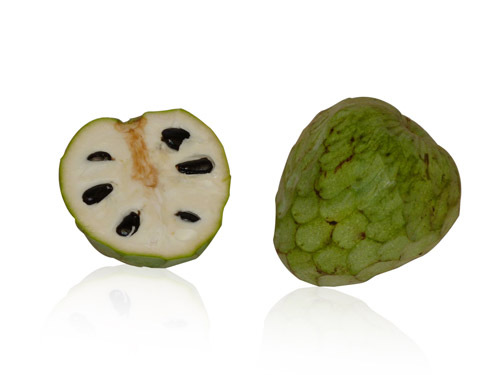 Jakfruit is considered as one of the largest fruits grown from a tree and imported specimens can weigh upto 30kgs. The flesh has a sweet rubbery texture encasing seeds which should be removed. 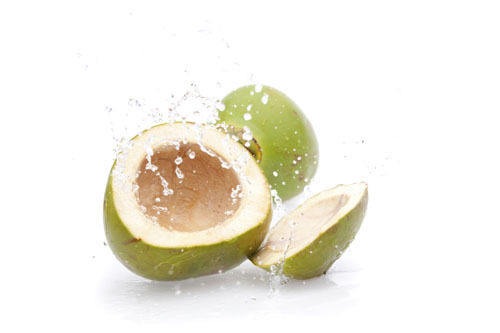 Jelly Nuts, or Green Coconuts, are immature coconuts still in the husk prized for the refreshing milk and sweet flesh they contain. 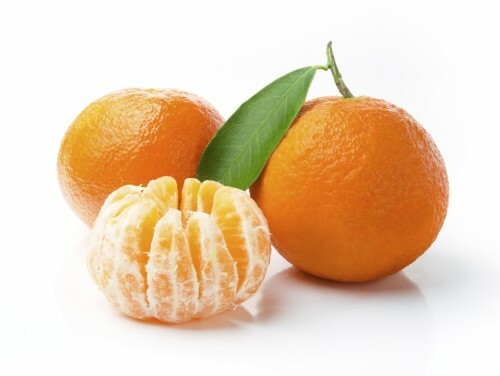 For the UK market, they can be imported ready-prepared, requiring the buyer to only cut off an exposed tip to enjoy the juice, rather than cut through layers of the hard shell. The kinnow is a large round and seeded juicing orange sourced from Pakistan. 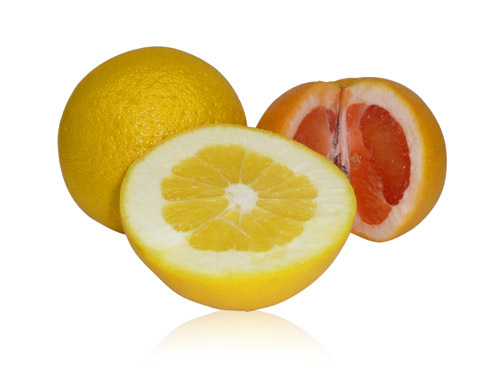 It provides a very rich and juicy sweet citrus flavour. The peel is a clean golden orange colour, making it stand out on any shelf. 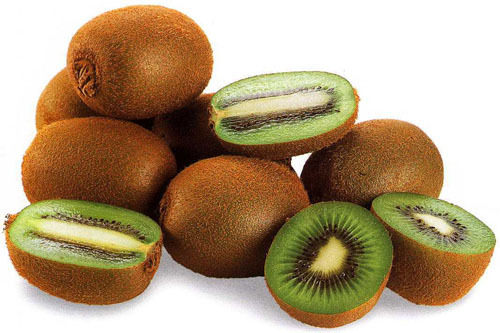 Kiwi is a tangy yet sweet fruit with firm green pulp containing a large number of edible black seeds. The skin is thin and brown in colour covered in tiny fine hairs. 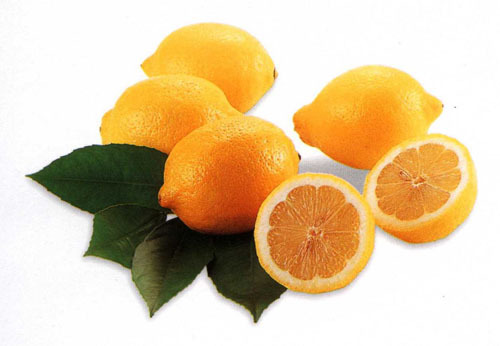 Lemons produce a sour juice as they are acidic. The skin is bright yellow and thick. Cutting into the rind releases a citrus aroma as the peel is oily. The flesh is transluscent yellow with varying number of seeds dependant upon variety. Limes can be oval or rounded in shape depending on whether they are Persian or Key variety, respectively. The skin is thin and releases a floral aroma when cut. The flesh is pale green and juicy, with a sour taste. 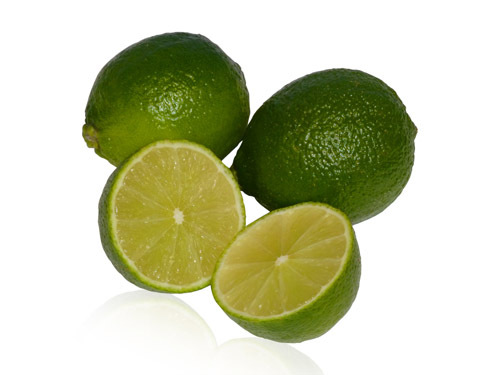 Limes are not consumed raw themselves, but are added to different foods and drinks to enhance flavour. 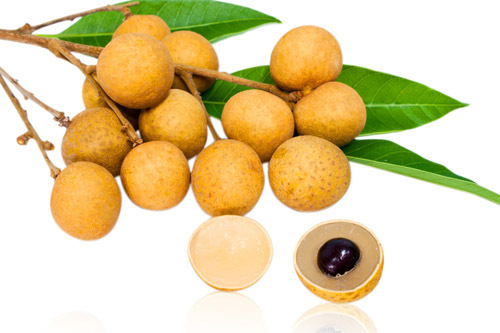 Longans are a sweeter alternative to lychees, but not as widely consumed. The transluscent jelly like flesh which contains a large stone, is encased in a thick bumpy brown shell. 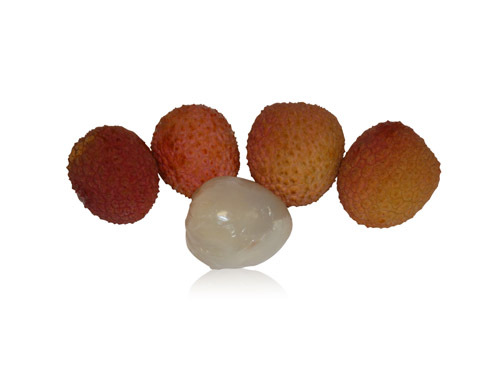 Lychees are a sweet exotic fruit with juicy transluscent jelly like flesh. The flavour is similar to a mild rose, perfume like, aroma. 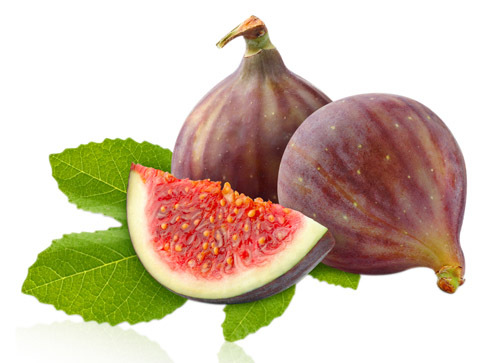 The inedible thin textured skin changes from green to reddish-pink as the fruit ripens. 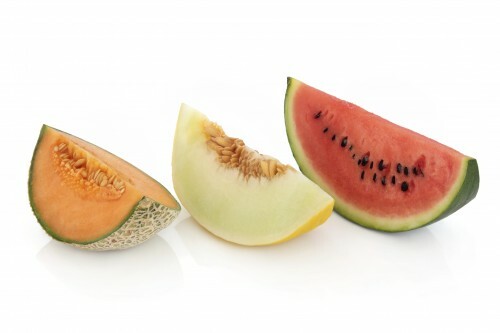 The main varieties of melons include the Cantaloupe, Galia, Honeydew and Watermelon. Each have their own distinctive refreshing qualities and taste. The Cantaloupe has a sweet pale orange flesh encased in a slightly netted texture grey-green skin. Honeydews are more oval shaped with a yellow-green flesh and smoother yellow skin. The Galia melon is a hybrid of Cantaloupe and Honeydew, with a distintive flavour captured from its pale green flesh. The skin is more of a golden yellow colour with a netted texture. The Watermelon has a smooth pale to dark green rind with a juicy and succulent red-pink flesh, which can be black seeded or seedless. The light green-white rind is also edible and full of nutrients, but does not have the same sweet taste as the rest of the fruit. Nectarines are a popular summer stonefruit, which are best described as a smooth skinned peach. 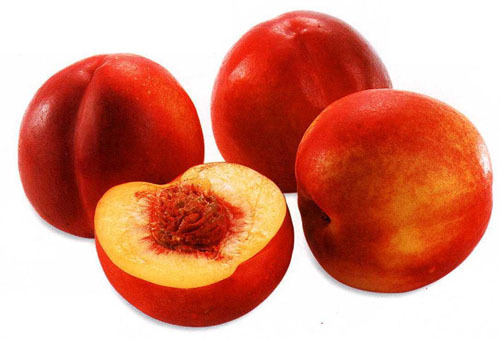 Ripe nectarines are juicy and provide the right balance between the tart acidity and sweet flavour. Oranges are the most popular citrus fruit, famed for the refreshing juice they produce. Valencia is the most versatile variety, being perfect for juicing and eating raw as a snack. Likewise, Navel oranges are sweet, large and near seedless, making them ideal for juicing. 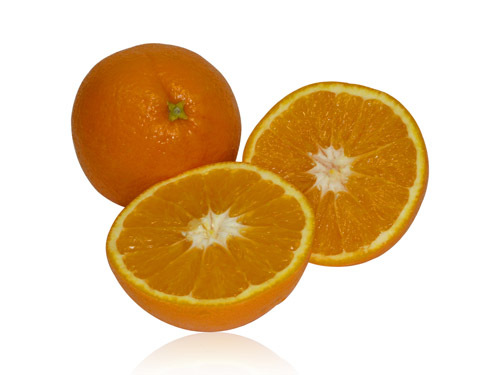 Ortaniques are an exceptionally sweet and juicy variety of oranges found in Jamaica. The fruit is pale orange in colour and seedless, making it perfect for juicing. Papaya is often overlooked as a fruit dessert due to the preparation required to remove the black seeds before eating. These seeds are infact edible, but have an intense peppery flavour. The elongated pear-shaped skin houses a rich creamy flesh which is highly aromatic. This exotic fruit is grown from the passion flower. The fruit is almost round with a dark purple-brown skin similar to leather. The skin encloses a yellow-orange pulp with black edible seeds. The fruit has a well balanced sweet-sour taste and produces a distinctive passion aroma. Peaches are a juicy stone fruit with two dominant varieties, the yellow flesh and the smaller white flesh, which is sweeter. 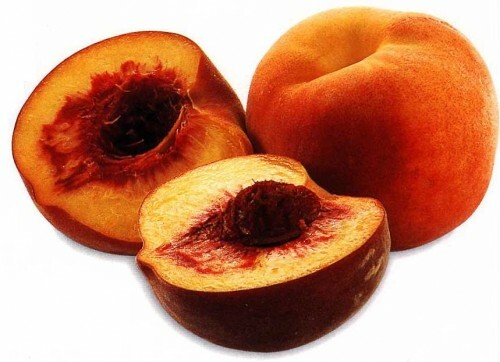 The skin is soft with velvety texture, and the ripe fruit will display a yellowy red skin tone. The flesh may also display a reddish tint around the stone. 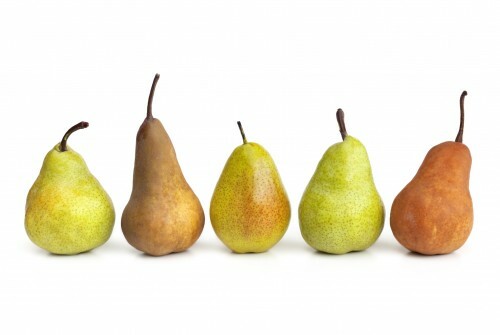 A variety of pears are available at different times during the year, each with their own characteristics, making it ideal for either cooking, eating raw as a dessert, or both. The Comice pear is rounded with a sweet taste and buttery texture. The Concorde pear provides subtle hints of vanilla with every bite, whilst the Williams Pear has a juicy ‘pear drop’ flavour. Other favourites include the Nashi pear which has the crunch of an apple, but the texture of a pear, and the Conference pear which is long and tapering and argueably the best all rounder pear, providing a sweet and juicy snack whilst storing and handling well. 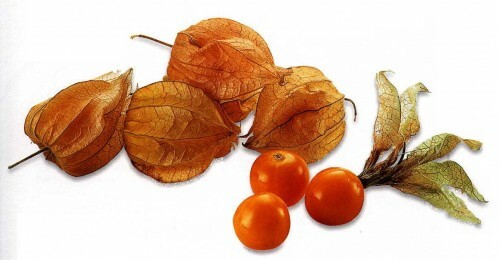 The physalis is from the nightshade family and resembles a cherry tomato in appearance. It is golden orange in colour when fully ripe, and presented in a paper-like husk. Also known as a Cape gooseberry, the taste is tart and mildly acidic, similar to a gooseberry. 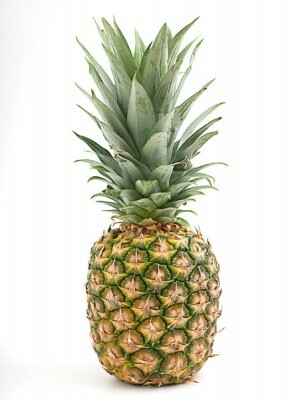 The pineapple, once classed as an exotic, is the most popular and mainstream tropical fruit. The firm spiky textured skin is a greyish-green colour encasing the sweet flesh and juice. It is often consumed as an after dinner dessert as it is a good source of the enzyme pepsin, which helps to break down protein, aiding digestion. 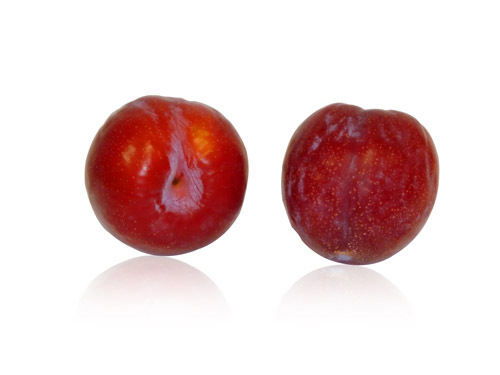 Plums are a juicy stonefruit with a sweet or tart taste depending on variety. The flesh can come in a range of colours such as yellow, orange or green. The skin shades vary from blue-black, red or yellow. The pomegranate fruit is classified as a berry, providing sweet kernels (arils) that can be eaten raw, juiced, or used as decorative garnishing. The red leather texture skin houses the juicy translucent arils which are a reddish-pink colour. The arils are joined together by a thin yellow membrane which is not eaten as it is bitter in taste. 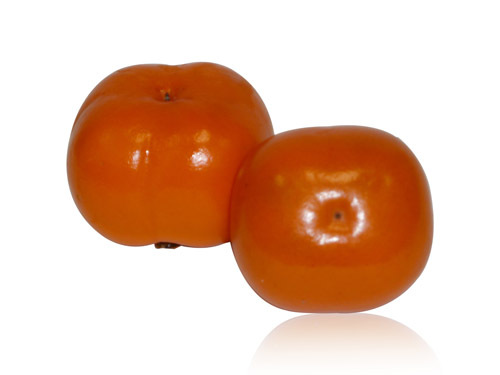 Sharon Fruit is a variety of persimmon that can be enjoyed in the crunchy semi-ripe stage or soft ripe stage. This sweet seedless fruit is orange-red in colour with green calyx, and resembles an acorn or tomato in shape. The skin has a waxy finish. 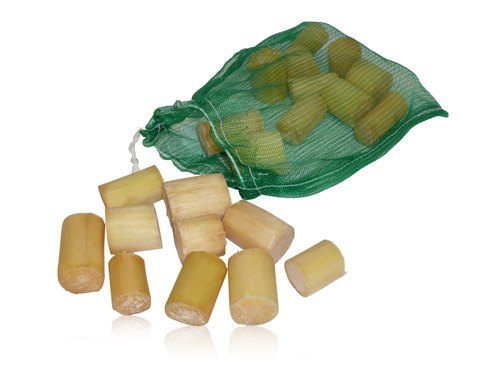 Sugar canes, which are from the grass family, are imported in two formats; six to nine foot long raw canes, and ready-prepared bite size cylinders. As well as being processed to make commercial products such as table salt and ethanol, it can be consumed as a fruit, where chewing the fibrous flesh releases the sugar-rich juice.